Most of my existing kitchen stuff is a light green color, similar to avocado. If colors aside from black and white are available, a color closest to that green would match best. A print of this photo. This is from an old article, so you'll have to contact WaPo HERE. The original link is HERE which should make it easy for them to locate the file for you. 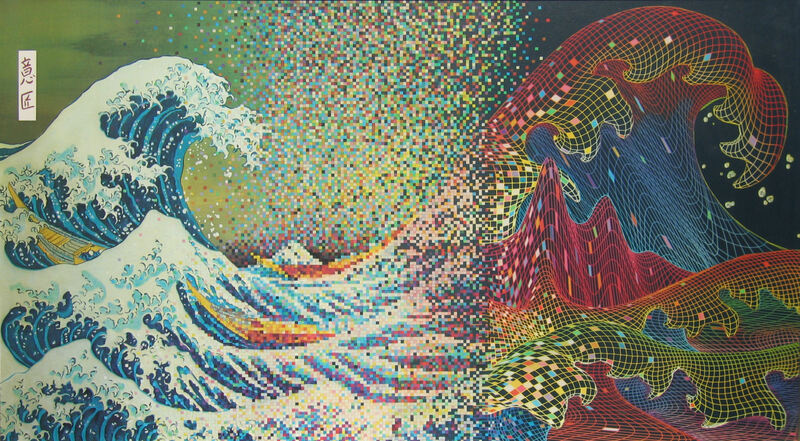 Various pieces by Jared Yamahata. I especially like the following. Note that these links are for paper prints. Size is selectable on that page. At the bottom are links for other products including pre-framed prints and higher quality canvas and metal prints. Texas Monthly - available in one, two, or three year subscriptions.